This product was donated to our hospital's inpatient child life specialist and she thought that we would enjoy using it in the Emergency Department. I had never seen anything like it before. Normally, for PO challenges, and kids that don't want to drink contrast, or charcoal I have had great success with having a tea party or using regular crazy straws. This product has changed the game. 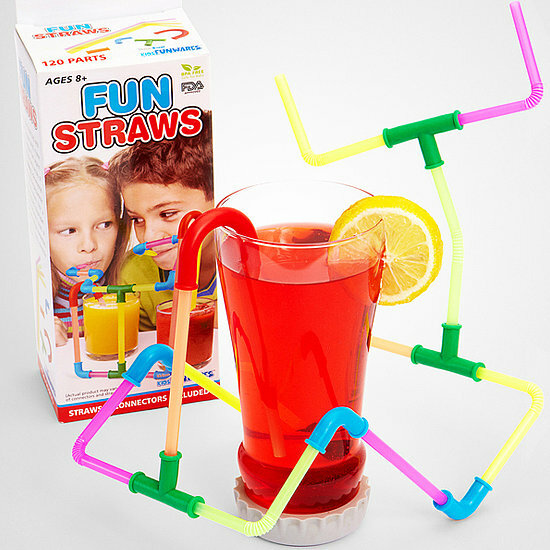 Kids love to construct and build and this allows them to build their own straw creation, and then test it out by getting the liquid to go through the whole thing (and into their bodies). The connector pieces can be washed and the straws that come with it can be thrown away and replaced with hospital straws, so you can re use this product over and over if you want. I found it on amazon, Link HERE, but they also sell it this at specialty stores like World Market and TJ Maxx, so you if you ever see one, I highly recommend picking it up.